An Oregon forest manager uses a real-time map to monitor an area with more than 100 sensors and cameras. Real-time story maps: that’s what data journalism should look like during ‘breaking news’ events. Data journalism is around for a while now, and there has been quite some experimenting. Especially with interactive maps. The Guardian Datablog has some nice experimental examples (including visuals with a quite intimidating mathematical aura). Real-time story maps: this is actually what youtube should look like. Likewise, Real-time coverage of breaking events isn’t new. We got used to a vast amount of user-generated content. So it is only a matter of time that these two – interactive maps and real-time coverage – are brought together. With a recent experiment in an Oregon forest (United States of America), real-time story maps for breaking news events has come really close. Real-time story mapping is also an interesting tool for environmental journalists. 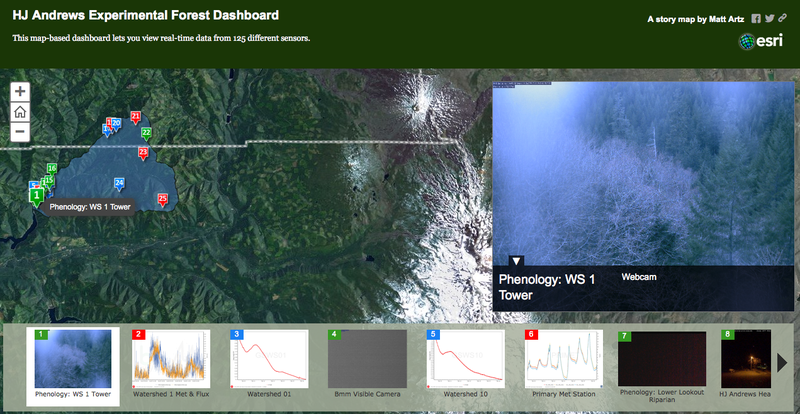 The HJ Andrews Experimental Forest Dashboard shows real-time data from 125 different sensors. The sensors are all placed in the Willamette National Forest in Oregon. Basically it is set up to support research on forests, streams and watersheds. The Experimental Forest Dashboard uses 125 sensors to monitor an area in real-time. Yes, I know, these sensors still look intimidating to most audiences. It’s about the concept of the story map. The dashboard shows great potential for following news events in real-time. The demonstrations in Kiev, Ukraine were covered from all angles, and during the riots it was possible to follow several live broadcastings, from both sides of the conflict. 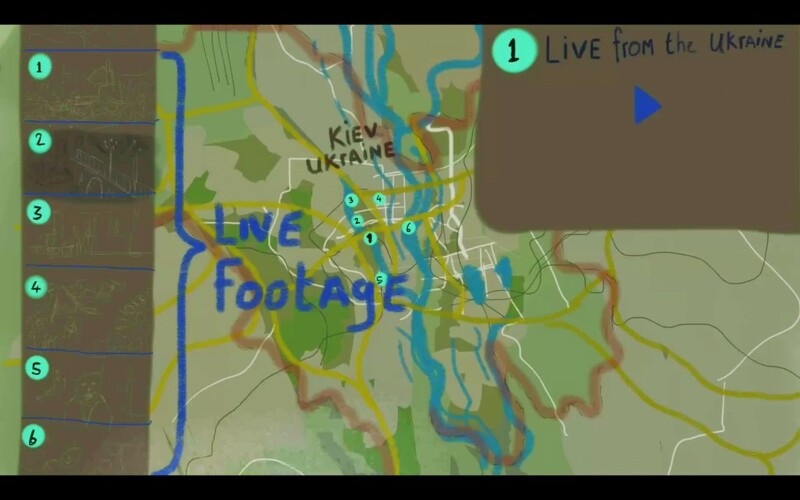 Real-time journalism during ‘Breaking News’ events: an impressionist drawing of Kiev. Imagine what a real-time story map could add to that news coverage. This is actually what youtube should look like during all breaking events. A story map definitely adds spatial context to the data streams (I made this infographic-like drawing as a teaser for this article, you get the idea). The story mapping technology in the Andrews project is developed by Esri. Obviously the technology has potential for environmental journalism – not so much for the storytelling, but for the research that can be done. Especially if more stations will publish what their sensors are monitoring in real-time. (The Andrews sensors for example monitor watershed, weather changes and CO2 concentration). But a story map without the live element can still add to your storytelling. It deepens the context if your audience can follow the locations of your story, while reading. 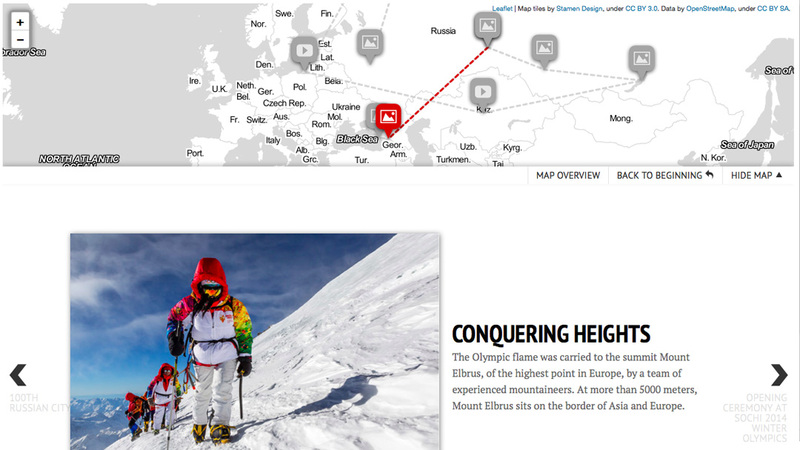 Knightlab has an easy to use (and well designed) story map tool available. 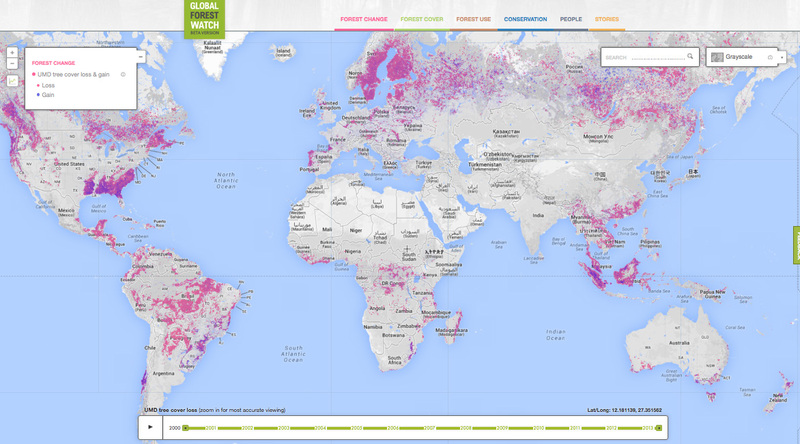 Another example is how Global Forest Watch uses a story map to monitor the forests world wide. The data is not in real-time. Storymaps are indeed a nice way to tell a story. I use it myself to support my website about mountain biking. Look at this custom sample at: http://mtbplatformnl.nl/storymaps/kustmarathon/index.html. More story maps on http://mtbplatformnl.maps.arcgis.com/home/index.html #. Looks nice. Have you tried to do this in real-time? Nice article! I will love to make a real-time story map. We have been doing story maps for an online newspaper for almost two years. Very well received by the users.